Our next meeting will be held on Monday, May 6, 2019 at 6PM at J Christopher's Restaurant on Northpark Drive. 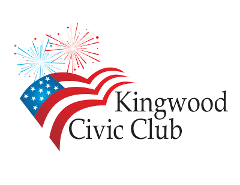 We'll be continuing to plan the 2019 4th of July Parade, and would really like to see you there!! !